Indiana University is rolling out Kaltura Lecture Capture in 600-plus classrooms this fall, with plans for expansion in the future. The institution has been using Kaltura's video capture and video management products for more than three years, and selected the company's lecture capture solution primarily for ease of use, according to a news release. Faculty members can begin recording with a single click, and with advanced scheduling options, lectures can be recorded without faculty interacting with hardware at all. 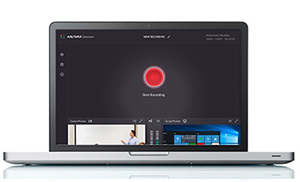 The system can ingest media from any recording device, and flow it automatically into the Kaltura Video Platform for management, reuse and publishing across the university. "One nice thing about Kaltura Lecture Capture is the automatic workflow," said Nate Pairitz, lead collaboration engineer at the university, in a statement. "Instructors are busy. They don't have time to set up anything. So with Kaltura Lecture Capture, we have all that automatically scheduled. The teacher walks in, sets up her class, engages the students, and starts teaching." "[Faculty] don't have to think about how to get it started or how to make it work in their class, or how to have it integrated with our learning management system," commented James McGookey, manager of collaboration technologies at Indiana U. "It's all done. It all works and it allows teachers to focus on teaching." He added, "Kaltura is a single video management solution. It does not matter where the content comes from. It's all in the same repository. It's all available using the same tools, using the same features and functionality." For more information, visit the Kaltura site.